Posted on August 25, 2017 by Greg Kaz. If you’re buying a new motorhome, you probably have a lot on your mind. You may be interested in determining engine performance, fuel economy, number of beds and seats, towing capacity, and other things. The last thing on your mind may be the potential for the roof to leak, but it is common, especially as an RV ages. We go over some of the most common causes for a leak below. If you have an RV with roof racks, or are considering the purchase of one, you should be aware that there is a leaking possibility as time goes on. This is because the racks are attached directly to the roof of your RV. Often any leaks from roof racks occur around the screws that hold the rack onto your RV. They often come about because of seal failure or caulking degradation. If you find the problem early, it’s easy to fix with a dose of liquid roof or a new application of caulk. Speaking of caulk, it is used on several features on an RV, including vents and skylights. You need a seal that is waterproof and caulk is the typical way to ensure this. However, over time this caulk can dry out and shrink which pulls it away from seams that it is meant to protect. It’s a promising idea to reapply caulk every year or so to avoid this problem. While not all RVs have a ladder for access, many do. These are convenient and useful, as nobody wants to carry a ladder around everywhere they go. However, the point where the ladder is mounted can turn into a point for leaks. Leaks can also occur on the RV where ladder is positioned. Keep an eye out for any problems and handle them as soon as you possibly can. Damage to the roof is another common cause of RV roof leaks. This might be because of falling tree branches or any other debris. Having something weighty on the roof can also cause problems that lead to damage on the roof. These types of situations can get nasty quick, so be on your toes. Using liquid RV roof repair can make the surface of the roof seamless again and stop any leaks in their tracks. A final reason for leaks is through natural aging. Your RV is going to be exposed to various elements which can weaken the roof after a period. Cold temperatures, sunlight, and even rain can cause some amount of damage. Therefore, inspecting the roof at least once or twice a year is a good rule of thumb. If you let a leak get worse, it can be much harder to fix when you do get around to it. Keeping some liquid roof around, which is great for patching problems before they get extreme, is an excellent idea. Save yourself the trouble of needing a professional, who is going to require a much larger budget to repair the roof. 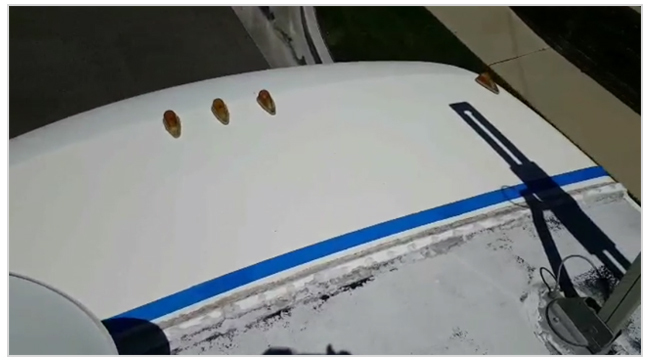 This entry was posted in Roof Leaks, RV Roof Repair by Greg Kaz.. Bookmark the permalink. If you are unsure about the causes of roof leak, here is an article that just works perfectly. It clearly states the areas and reasons of roof leak. Go through this to find out what are the major causes.